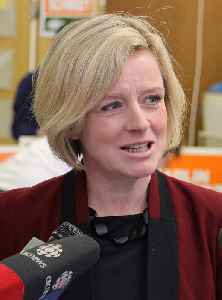 Rachel Anne Notley is a Canadian politician and the 17th premier of Alberta, a position she has held since 2015. She is a member of the Legislative Assembly of Alberta for Edmonton-Strathcona, and leader of the Alberta New Democratic Party. The daughter of former Alberta NDP leader Grant Notley, she was a lawyer before entering politics; she focused on labour law, with a specialty in workers' compensation advocacy and workplace health and safety issues.